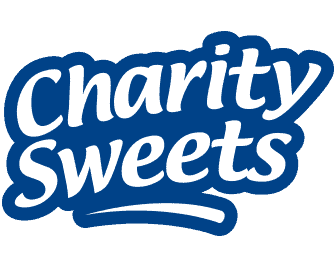 Office Administrator – Maternity Cover – POSITION NOW FILLED – Charity Sweets by Sweet causes Ltd.
We are looking for an Office Administrator on either a part time or full time cover for an initial 6-month contract to cover Maternity Leave, however, with the likelihood of a Full Time permanent position with the company. The current incumbent spends 50% of the working week carrying out Human Resource duties and 50% in database administration, therefore a knowledge & experience of HR would be advantageous. To administer the company database consisting of over 50,000 customers. To ensure that the required data is received from the Sales & Service Collectors on time and in the correct format, updated and returned by email by the required deadline. To handle incoming calls from customers & communicate sales requests to the field staff within 4 hours of receipt. Perform other Ad Hoc administration duties as and when required. Communicate the reporting processes and procedures to all Sales Collectors. Report to Sales Manager/MD any Sales Collectors not adhering to reporting procedures. Accountancy qualifications would also be useful in line with the growth of the company. Good knowledge of Geography of the UK. You will have excellent numeracy skills in Excel Spreadsheets. Must have excellent computer literacy with proven proficiency in MS Office. High level of accuracy, meticulous attention to detail and observant. Ability to work within and adhere to tight deadlines. Results-focused and do whatever it takes to get the job done with a flexible approach to the working day. Assertive and Strong forward thinking team player. Good team working skills, but also able to work independently and unsupervised. Excellent written and verbal communication, as well as listening skills. Capable to deal with telephone enquiries, some knowledge of customer service principles and practices. Someone who likes a challenge, not fazed by last minute changes and able to handle the situation in a calm disposition.